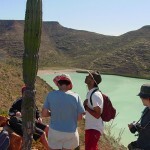 The Super Adventure Baja Retreat is an executive retreat that combines adventure and team building exercises. 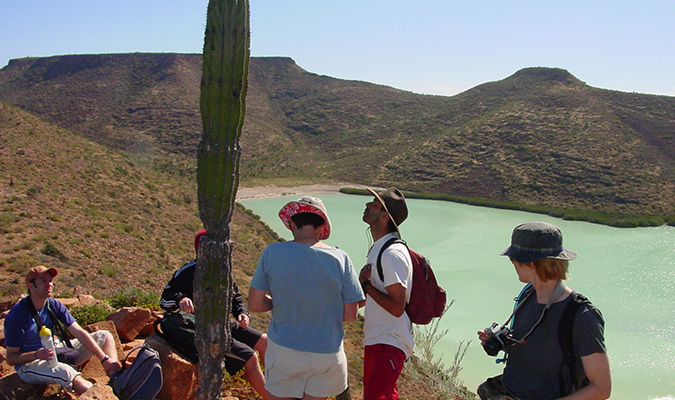 This trip is an off-the-beaten-path adventure that visits the Sea of Cortez coastline in Baja California. Adventure activities include car racing, kayaking, hiking to hidden waterfalls and surfing which are all designed to refocus minds and fine-tune control skills. 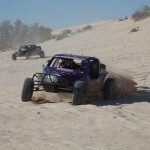 Wide Open Baja Car Racing – Get behind the wheel of these refined machines, strap yourself in and prepare yourself to master the diverse terrain of the Baja Peninsula. 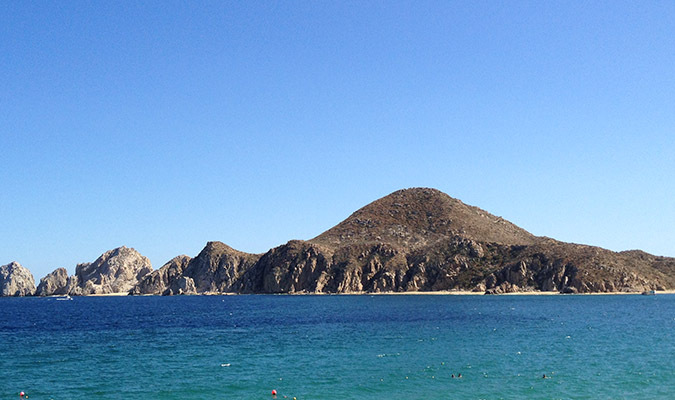 Travelers will be met at the airport leaving customs and immigration and transferred in group to their chic beachfront hotel, ME Melia, within walking distance to Cabo’s famed nightlife. Meet group leader and other members of group for orientation in lobby of hotel at night. Meet at 9:00 am in hotel lobby for an adventure like no other (group therapy!). 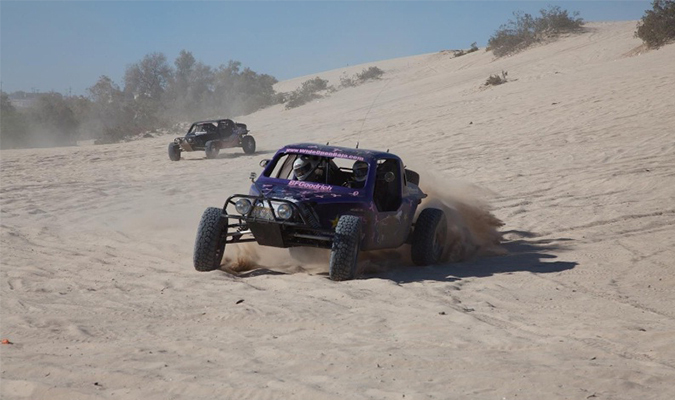 Today the group will have the chance to get into an off-road race car that has proven it’s performance in the Baja 1000 and over millions of miles touring the BajaPeninsula. It is the perfect time for them to escape, get their mind straight and fine-tune their control skills. Depending on time and route, a WIDE OPEN Driving Experience will allow the group to sample sand washes, cactus forests, mountains, ranches, beaches, and tight winding trails.In a short amount of time, the group will master the power of the ATR2 as you glide across the challenging terrain. 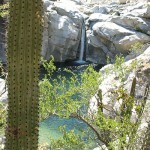 After lunch, we will transfer privately to Todos Santos a desert oasis village on Baja’s rugged Pacific Coast. After checking in to the fabled Hotel California, we’ll enjoy a walking tour of the fascinating town and its long history as an important community. As the day cools off, we will then head to set out to explore the secluded coast line and pristine beaches surrounding the oasis town. 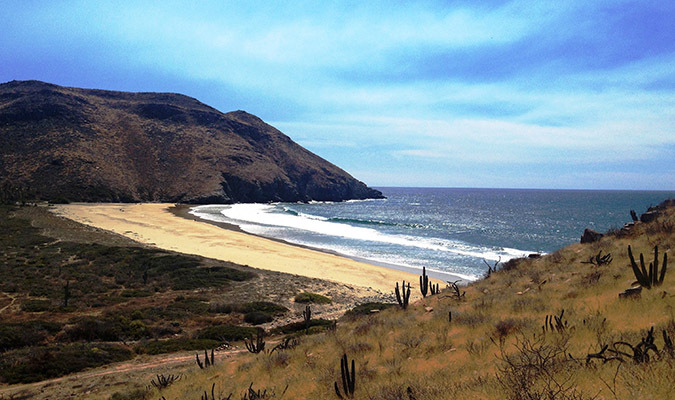 Our sea cliff hike takes us along miles of spectacular coastline with sweeping views of Baja’s stark and rugged beaches. 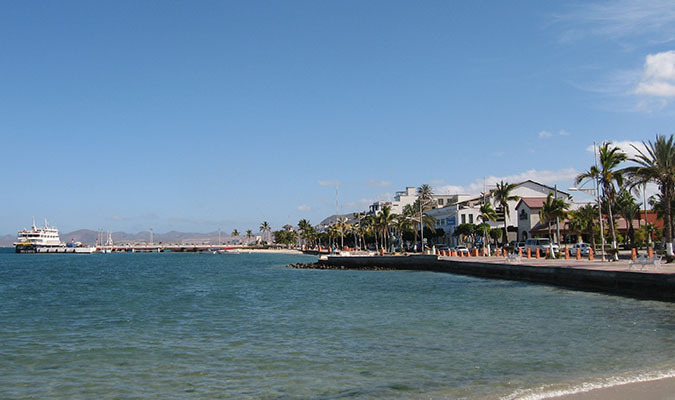 We return to town to relax and then a delicious dinner at one of the many tasty restaurants. Afternoon surfing lessons, we set out to explore the Sierra de la Laguna Biosphere reserve and we transfer to the trail head where we begin walking up the arroyo (river bed). 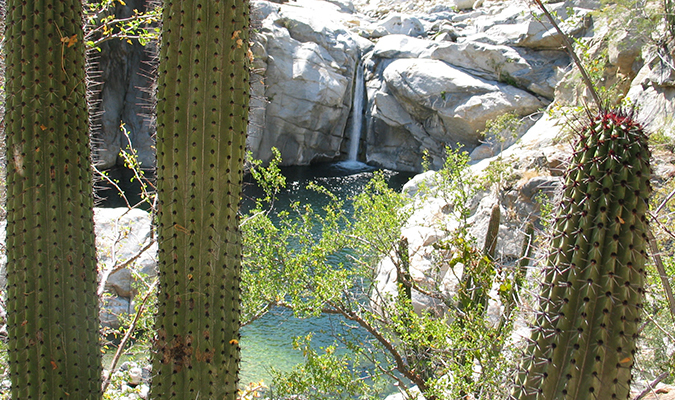 The landscape changes as the cactus forest thickens and then unexpectedly we come to not one, not two, but three different waterfalls in the middle of the desert. Enjoy the opportunity to splash and take pictures or just relax with a wonderful picnic lunch. 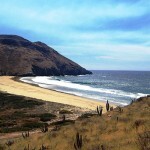 We then travel from the interior to the beautiful crescent shaped beach of Los Cerritos for a picnic lunch and an opportunity to try our hand at surfing in the gentle Pacific rollers. Late afternoon return to our beautiful accommodation and night out on the town on your own at one of the many fantastic eateries. After an early morning breakfast, we transfer across the peninsula to our high speed motorboat that is waiting to take us out to Isla Espiritu Santo. 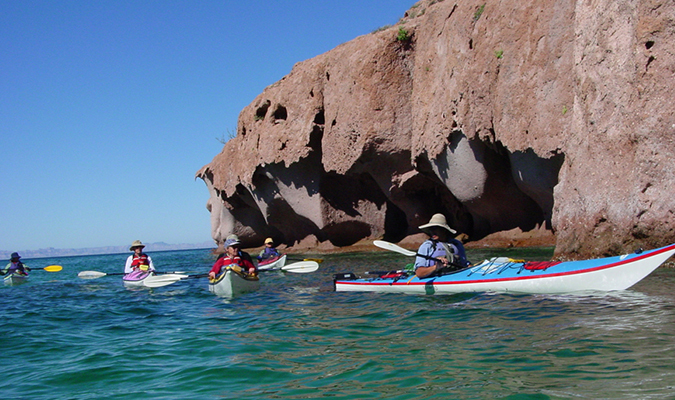 Your guide will discuss points on safety and provide beginners with the basics of sea-kayaking and correct use of gear and kayaks. 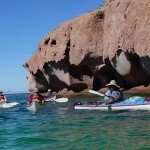 We then embark paddling the turquoise waters of Espiritu Santo Island beneath spectacular volcanic cliffs and arrive at one of many beautiful beaches to for a picnic lunch. 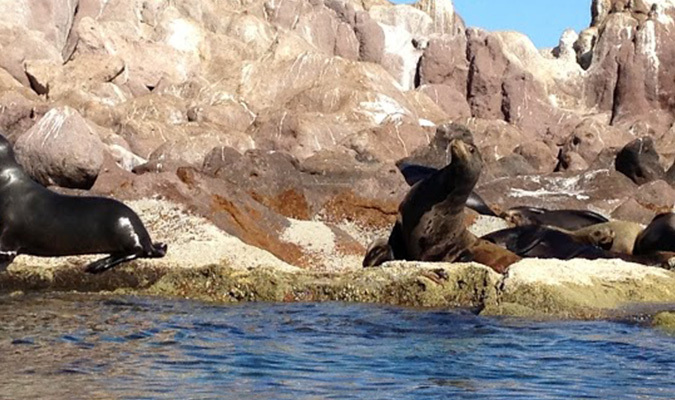 After lunch and a natural history walk, we board our speedy launch and ride to a beautiful off-shore island which is home to a large sea lion colony. 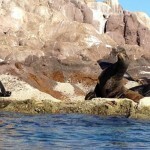 Prepare to experience the amazing thrill of swimming with sea lion pups and snorkel among thousands of tropical fish. 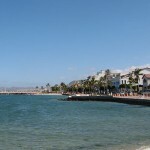 We then return to our hotel in La Paz. Night out on the town for dinner. 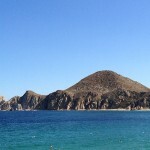 Group taxis to La Paz Airport of Los Cabos Airport for their onward flights home.